Money Blowing Machine rentals in Denver Colorado. 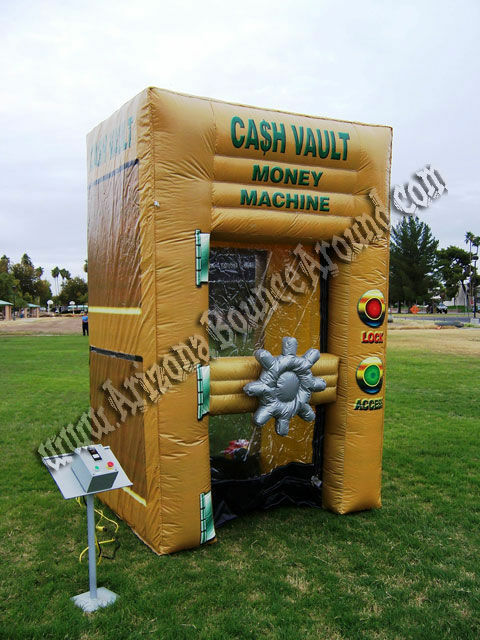 Imagine the excitement generated by giving that lucky person the opportunity to try to catch as many dollar bills, coupons, flowers or whatever you are promoting as it flies around inside this 5' x 7' x 10' Money Blowing Machine. This is a great promotional idea for car dealers or retail stores to promote sales and works just as well for office parties and trade shows. 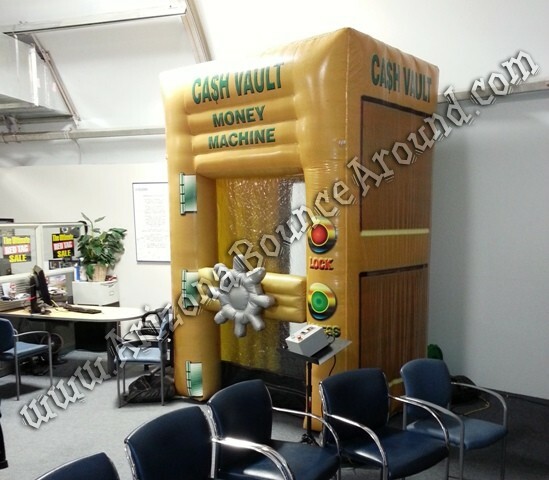 Our Cash machine blowing machine rental will be a big hit at your Company or Office party. This Cash blowing Machine with Beautiful artwork will be a big hit at your next office or school party. This Money Blowing Machine rental will fill fit right in with any party and allows you to use real or play money, coupons or whatever you want. Play Money available for only $14.99 plus tax. It looks real but this paper money is intended to be played with instead of spent! Includes 144 misc. $1, $5, $10, $20, $50 & $100 dollar bills. 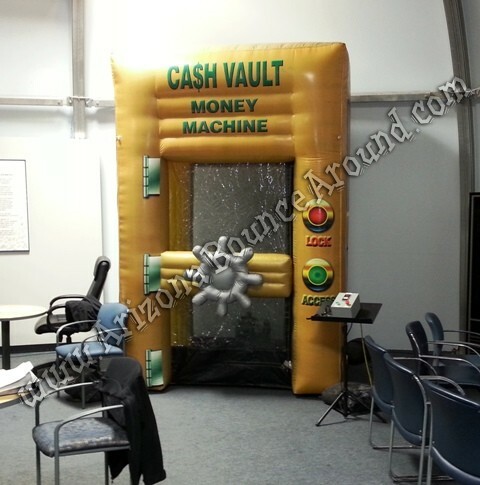 This money blowing cash cube rental price includes standard set up. Standard setup is considered a real grass area that we can stake into the ground. Be within 80 feet of sufficient electrical supply. Delivery and removal within included delivery area with no restrictions for delivery, set up or pickup. We do not install this cash cube on dirt or sand but it can be setup on asphalt, concrete, indoors or artificial grass by adding sand bags to your order.